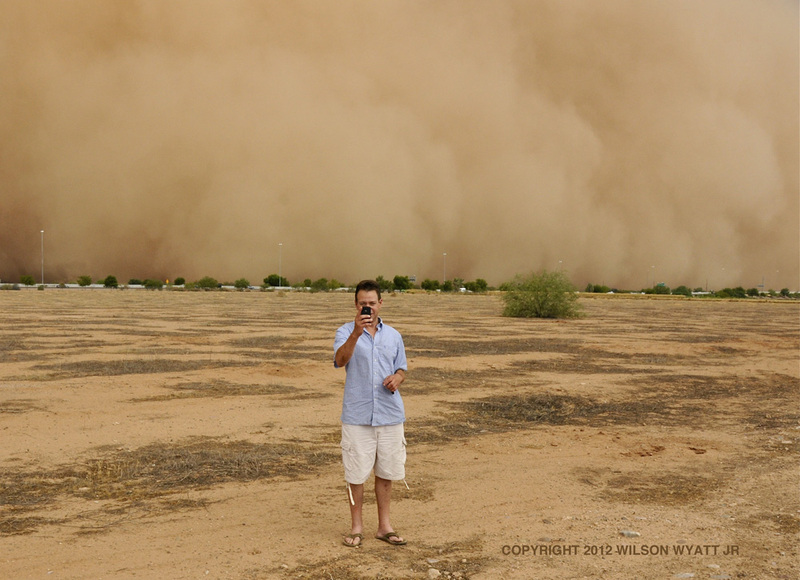 Haboob Over Phoenix, Arizona – Click on any photo for large view. 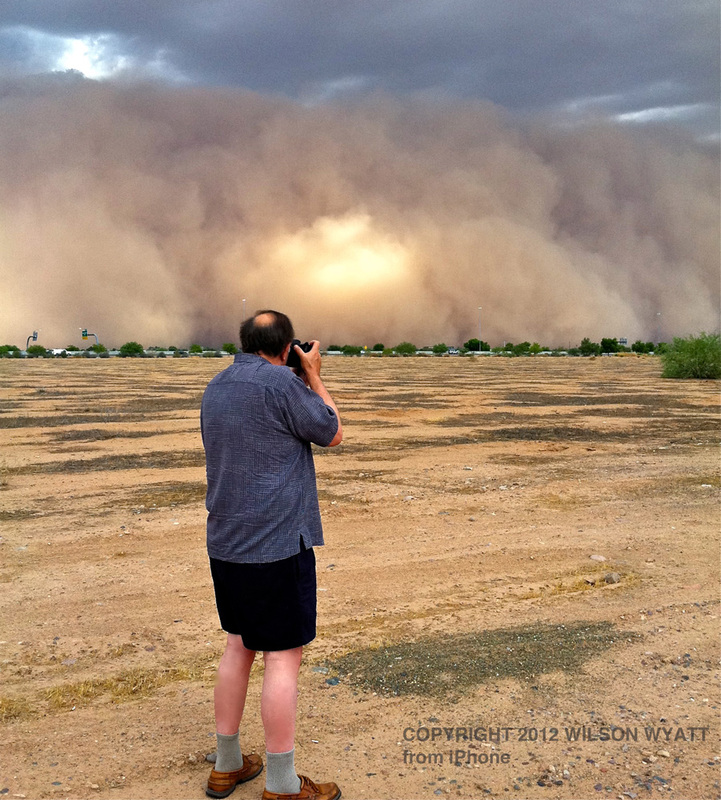 An intense dust storm swept over Phoenix last Saturday, offering this photo opportunity. A haboob (Arabic for “strong wind”) rolled a fast-moving wall of dust across the desert, engulfing most of the Phoenix area at 5:15 p.m. on Saturday, July 21. 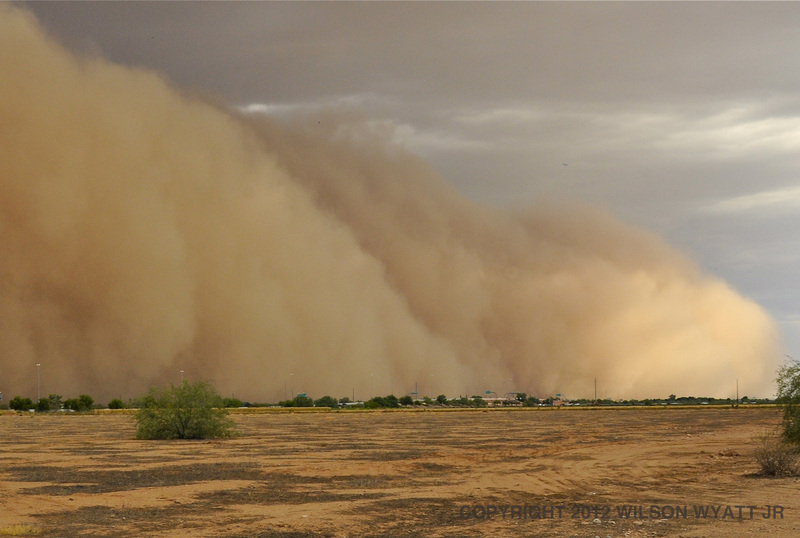 Considered the largest and most dangerous of dust storms, it comes to the arid region about three times a year, during July and August, pushing dust, sand, and debris along its massive path. Motorists pull off highways, and residents find cover for the two or three-hour duration. 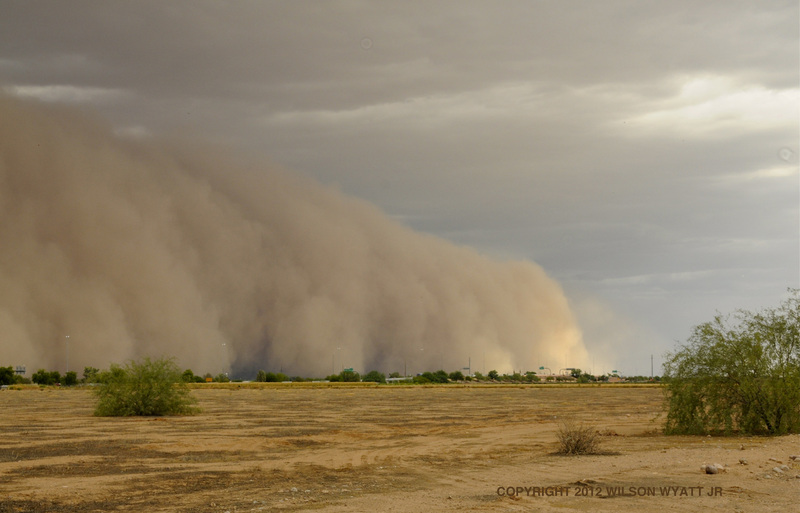 It precedes a monsoon, the thunderstorm whose downdraft or microburst creates the powerful haboob…though, sometimes, the rain evaporates in the heat and never hits the ground. Last Saturday, the rain came, as well. I’ve seen these storms from an airplane…but never up close. I was in Scottsdale visiting my son. We are both photographers. We were driving along the Pima Indian Reservation and spotted the wall of the dust storm billowing over the horizon, as if some invisible force was pushing it to the ground and churning it forward. It was an incredible sight…powerful and mysterious. The wall of dust was moving toward us at about 30 miles per hour. I pulled off the road and parked on a sand clearing. We got out. I had my camera in hand. Wilson III, my son, picked up an iPhone, and we walked toward the storm to gather some images. This was an amazing opportunity. Some other cars passed by, but we were the only ones who stopped to take photographs. The wind picked up. As it came closer, the thick dust wall grew taller and more magnificent. We both took photos…of the storm and of each other. 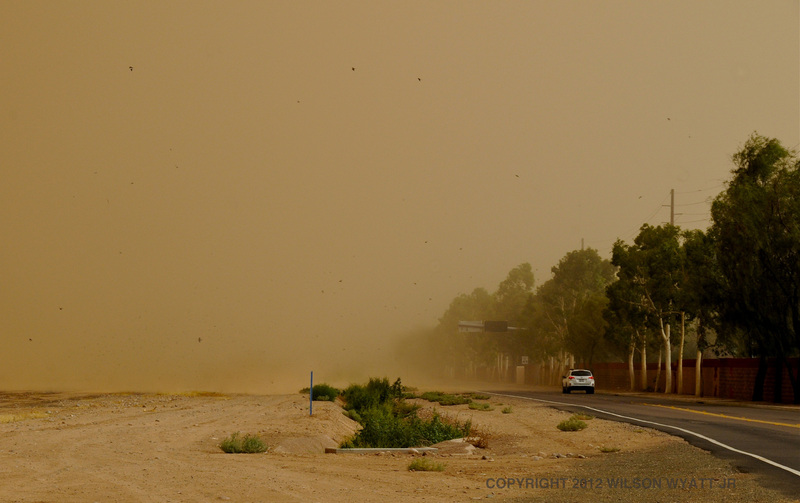 As it neared, the air turned an orange brown color, and debris started to roll across the desert. When the wall was almost above us, we noticed a multitude of black desert birds being carried by the wind in the front of the ballooning cloud. They used the momentum of the wind to carry them to safety. When we felt the dust and sand against our skin, it was time to return to the car…but we continued to take images and experience a spectacular phenomenon of nature. While the wind gusts were strong, we were not in danger. We just felt the exhilarating power of nature at work. I hope you enjoy these images from an afternoon we will not forget. 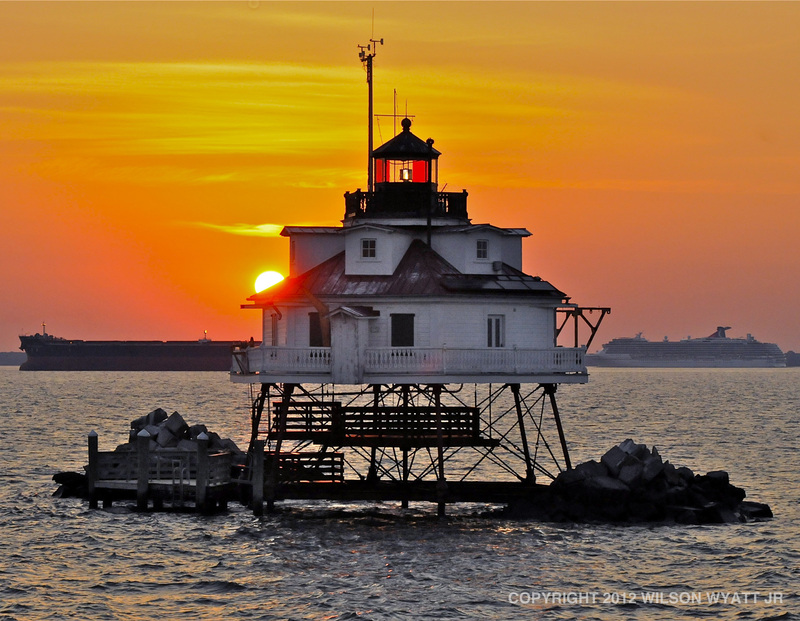 My photo, “Sunrise at Thomas Point Lighthouse,” won the Mentor Series “Best of Maryland” photography competition. I feel honored. Mentor Series Worldwide Photo Treks are sponsored by Nikon and Popular Photography magazine. 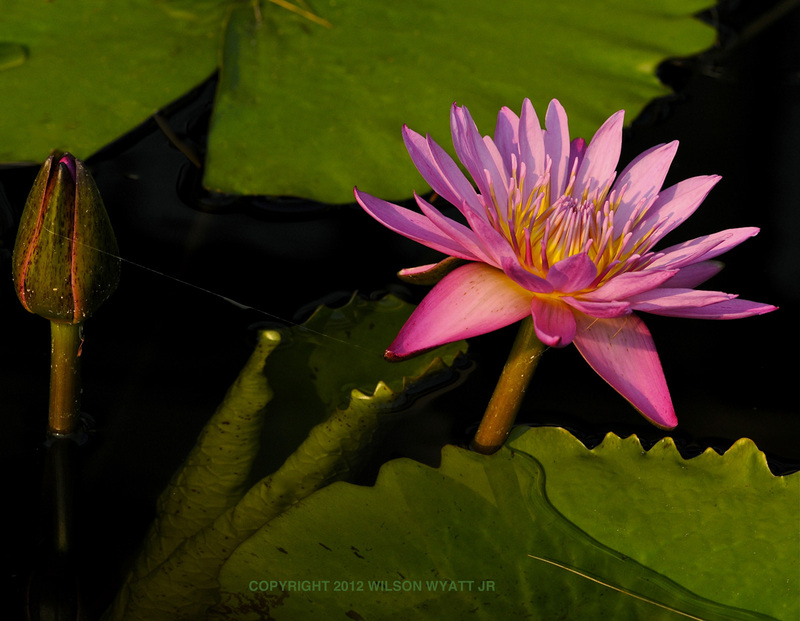 The photo, taken on the Chesapeake Bay, is one of two of my images exhibited in their gallery, a selection of photographs from about 25 photographers who enjoyed three days of shooting together in Maryland last month. 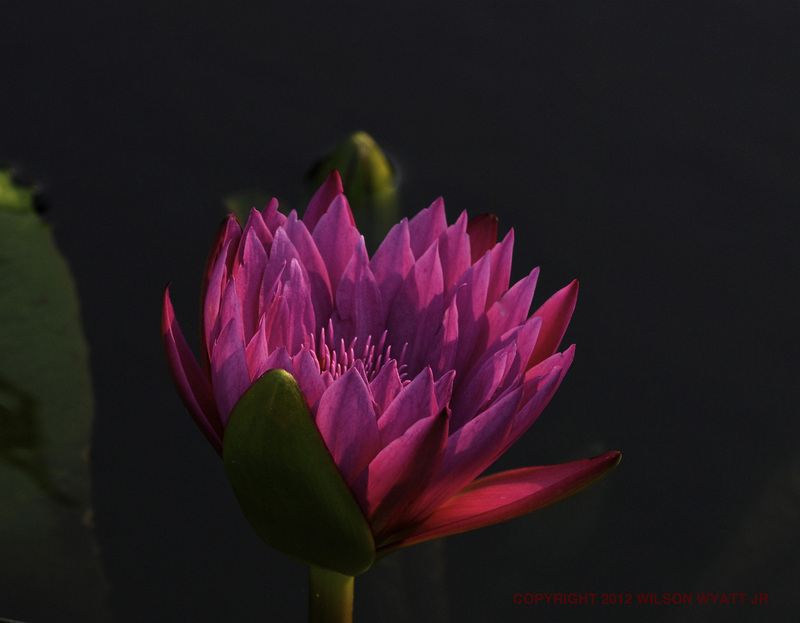 I’ll post more about the Maryland photo trek in the days to come. Their website is: http://www.mentorseries.com. Considering the quality of images from the other photographers on our trek, I am deeply honored. The two professional photographer mentors on our trip were Cory Rich and Mark Alberhasky. 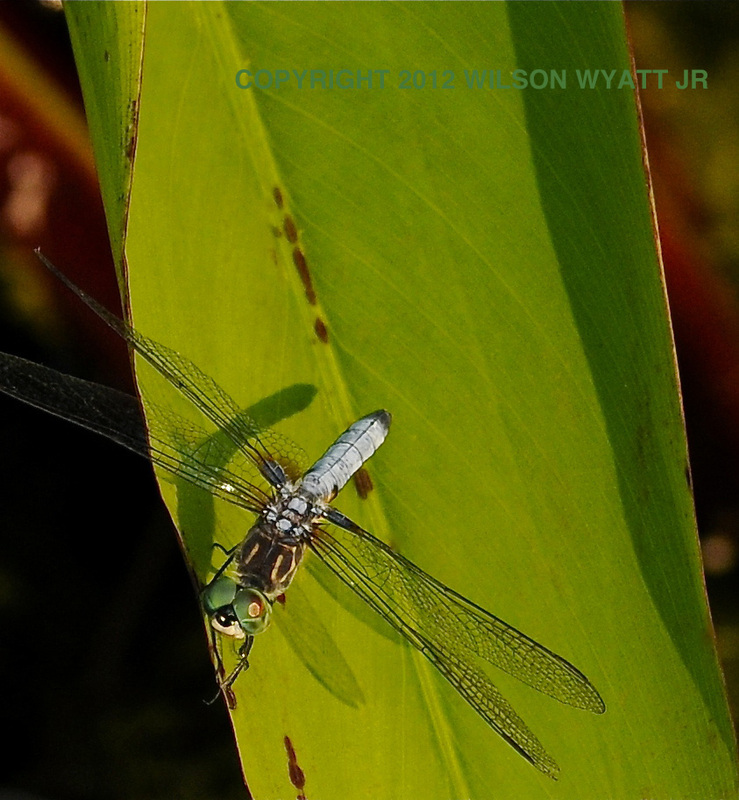 Both shoot for Nikon World, among many other credits. 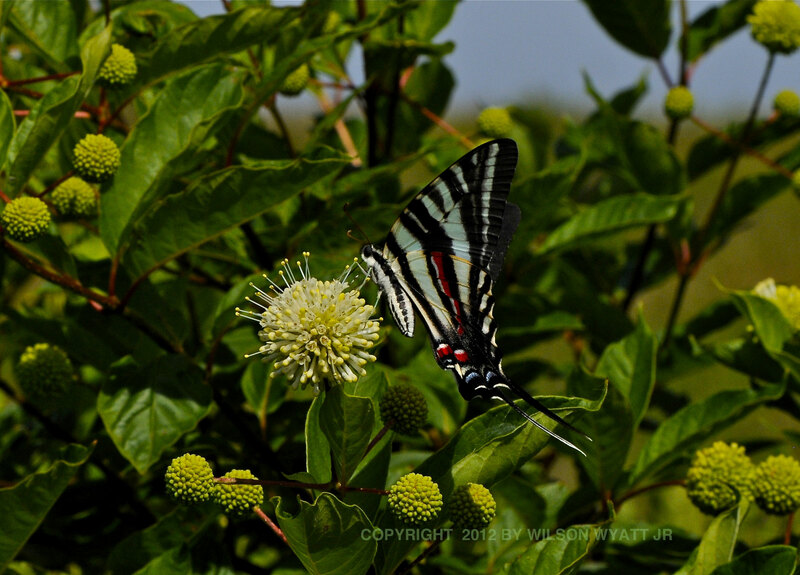 My second image, selected for the gallery, was a close-up of a “Swallowtail Butterfly,” taken in the marsh lands of Eastern Neck Wildlife Refuge. More to come, soon. If you care for nature, she will reward you with her beauty. That is certainly true in Longwood Gardens, near Kennett Square, Pennsylvania. It’s a living museum spanning over a thousand acres of gardens, woodlands and meadows devoted to our natural heritage. 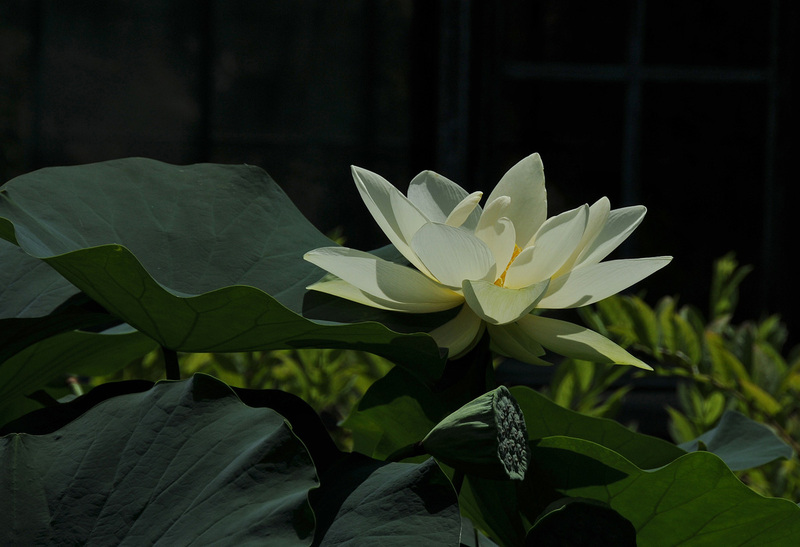 Nestled outside the 4-acre Conservatory “greenhouse” building, landscaped pools provide a home for numerous varieties of water lilies, from June to October. 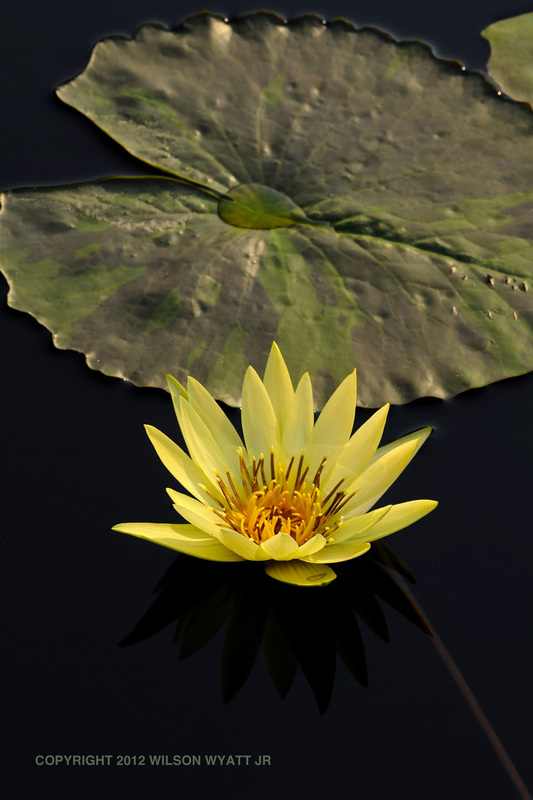 Despite its popularity, this is a quiet place where the gentle sounds of fountains stir the water…and your mind…and colorful blooms rise from the dark pools like nature’s stars. 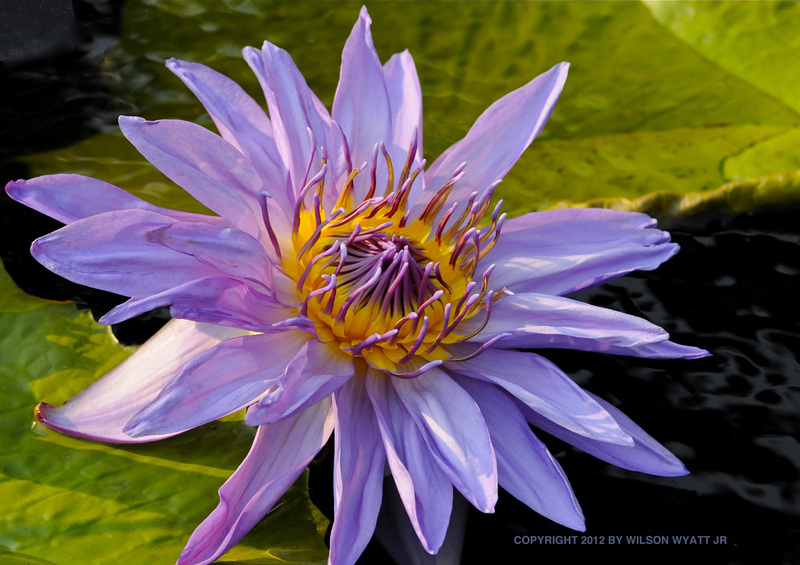 For our anniversary, my wife and I returned to this special place to photograph the water lilies and stroll along the trails throughout Longwood. 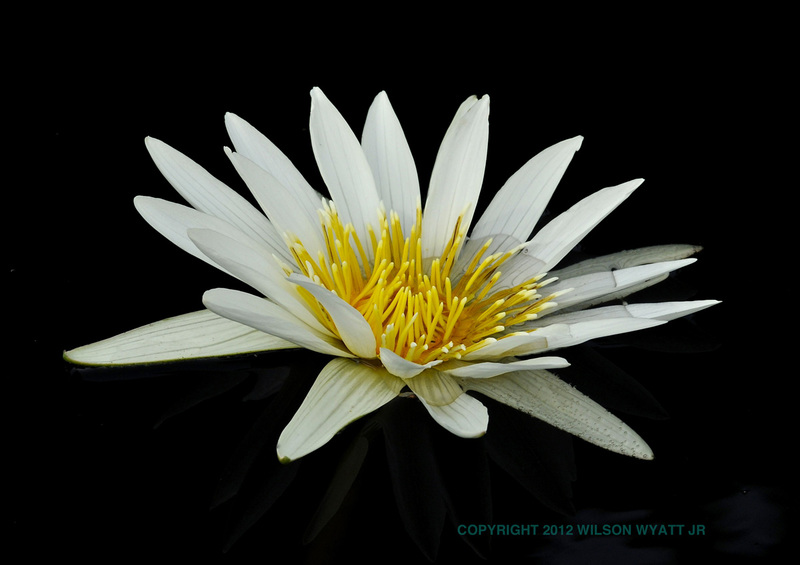 I am presenting here a sampling of my images from June, as a tribute to the water lilies.